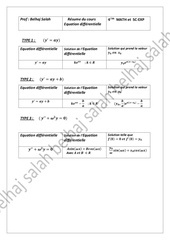 cients constants Equations dierentielles Université Mohammed I Faculté des Sciences Département de Mathématiques Oujda. 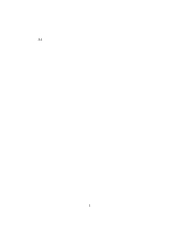 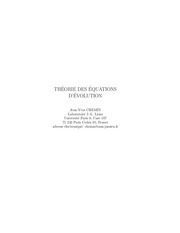 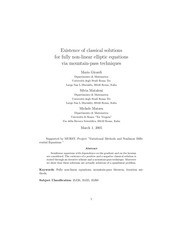 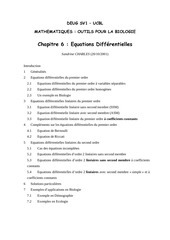 piskounov mir TABLE DES MATIÈRES Avant-propos à la cinquième édition 13 CHAPITRE XIII ÉQUATIONS DIFFÉRENTIELLES § 1.
chemin ´ ´ THEORIE DES EQUATIONS ´ D’EVOLUTION Jean-Yves CHEMIN Laboratoire J.-L.
Exp 1 et 2 1.2 ´ Equations diff´ erentielles du premier ordre. 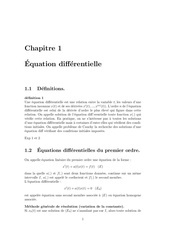 EQUATIONS D’ÉQUILIBRE EN VOL STABILISÉ -------------------------------------------------------------------------------------------------------------------------------- 8 1.2.1. 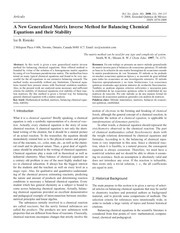 2008, 2(3), 104-115 Artículo © 2008, Sociedad Química de México ISSN 1870-1809 A New Generalized Matrix Inverse Method for Balancing Chemical Equations and their Stability Ice B.
Programme Series et Equations Differentielles Universit´ e Abou-Bakr-Belkaid (Tlemcen) Facult´ e des Sciences Ann´ ee 2015-2016 L2-Physique 3`eme semestre D´ epartement de Physique Programme S´ eries et Equations Diﬀ´ erentielles CHAPITRE 1. 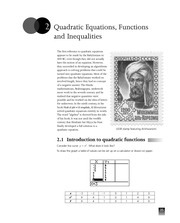 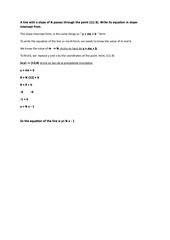 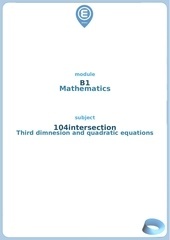 IBHM 035 057 2 Quadratic Equations, Functions and Inequalities The first reference to quadratic equations appears to be made by the Babylonians in 400 BC, even though they did not actually have the notion of an equation. 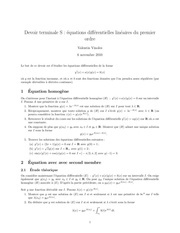 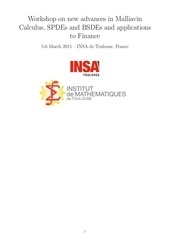 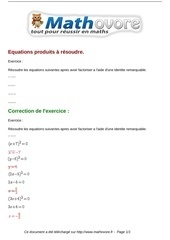 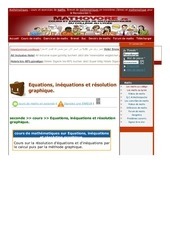 enseignants Sur la r´ esolution des ´ equations avec radicaux Annexe V 1. 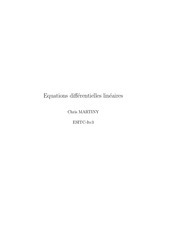 In particular Malliavin’s calculus has been proved to be particularly efficient for studying solution to various stochastic equations like stochastic differential equations (SDEs) or to stochastic partial differential equations (SPDEs) used to model physical system. 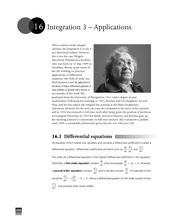 Pelageia Yakovlevna Polubarinova Kochina, who was born on 13 May 1899 in Astrakhan, Russia, spent much of her life working on practical applications of differential equations. 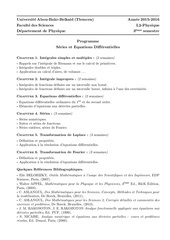 Jean Philippe Joliendroit 1 1,2 ∗ , Jean-Baptiste March´e 1,2 ,† and Kumiko Ribere 1,2‡ Institut de Bureaucratie de Paris, UMR 7095-CNRS, Leonid Brejnev University, 98 bis boulevard Georges Marchais, 75014 Moscow, Russia 2 Graduate School of Old-fashioned Technology and Fake Science, The University of Montcul, Montcul 6969-6969, France This article studies how the most recent equations of theoretical physics, namely F~ = m~γ and ~ = q~v × B, ~ can be combined in order to gain insight about possible alien civilizations. 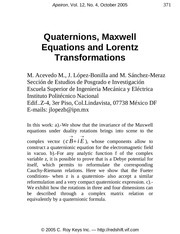 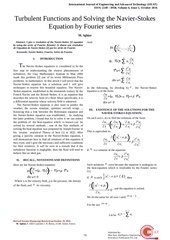 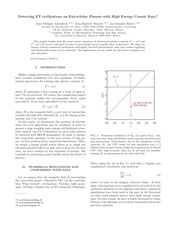 4, October 2005 371 Quaternions, Maxwell Equations and Lorentz Transformations M.